Before the emancipation, learned Jews used mathematics primarily as a tool for calculating the Jewish calendar. As opportunities opened for Jews in German academia, Jewish mathematicians became leaders in the field. 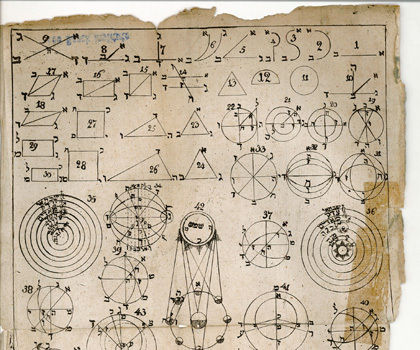 Transcending Tradition highlights the key role of Jewish mathematicians in German-speaking academic culture before 1933 – in teaching and academic research, in professional organizations and throughout mathematical culture, from academic to popular. Spanning a period of 150 years, it documents their emergence from segregation into the academic limelight, recalls their emigration, flight or death after 1933, and illuminates their lasting legacies. A wealth of pictures and documents trace many moving lives: young researchers who helped shape modern mathematics and physics, scholars who went beyond mathematics and made their mark in literature or philosophy, and the story of the most important female mathematician of the 20th century. It explores the places and historical contexts and presents the actors and their contributions with scholarly precision and a compassionate eye for individuals and their fates. 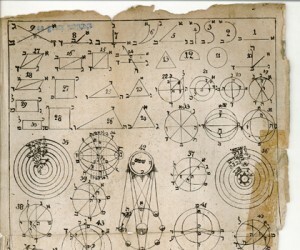 Designed by a group of seven historians of mathematics at Goethe University in Frankfurt, Germany, in cooperation with the Jewish Museum Frankfurt and the German Mathematical Society, the exhibition toured several Israeli cities and was most recently on display at the University of Chicago . The exhibition will be on display in New York until the end of December 2013. For more information about the exhibit, visit gj-math.uni-frankfurt.de/. This exhibit is made possible through the generous support of the Arnhold Foundation.